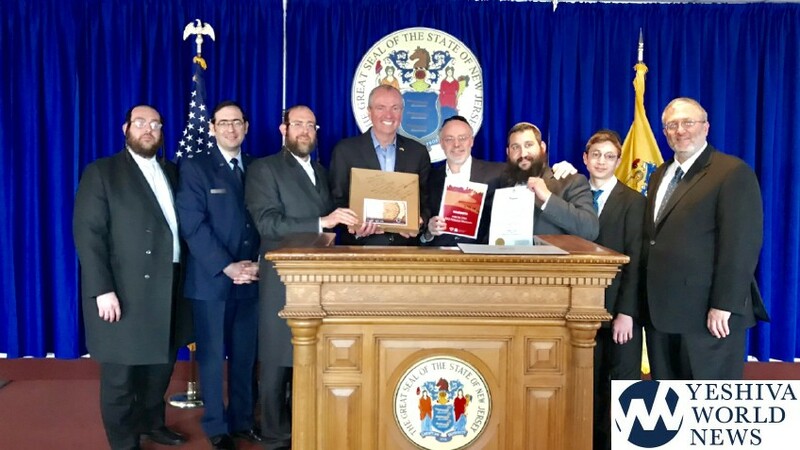 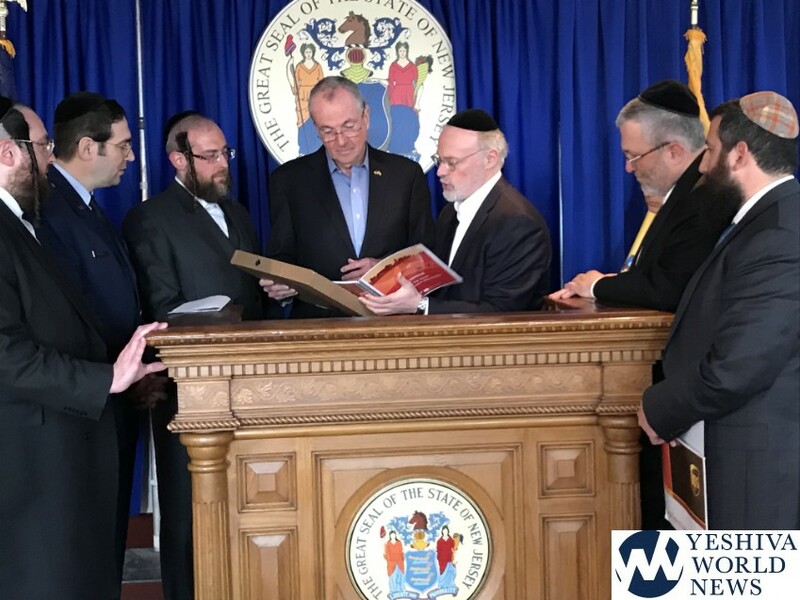 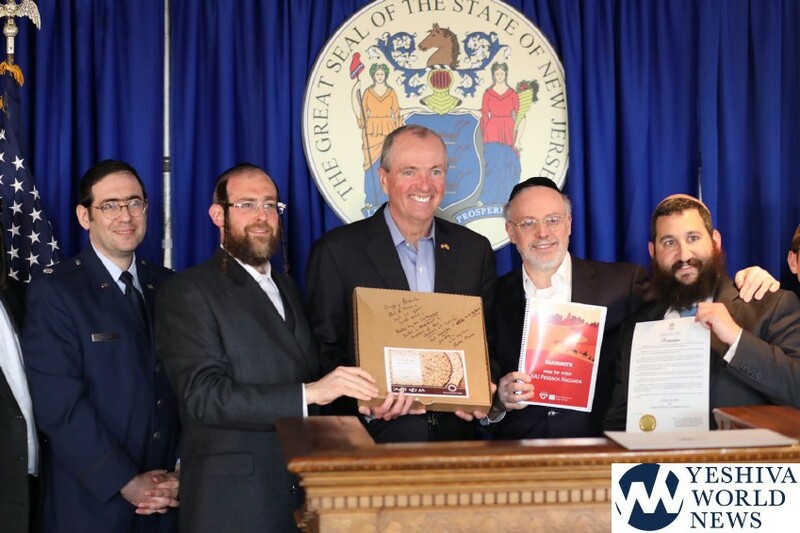 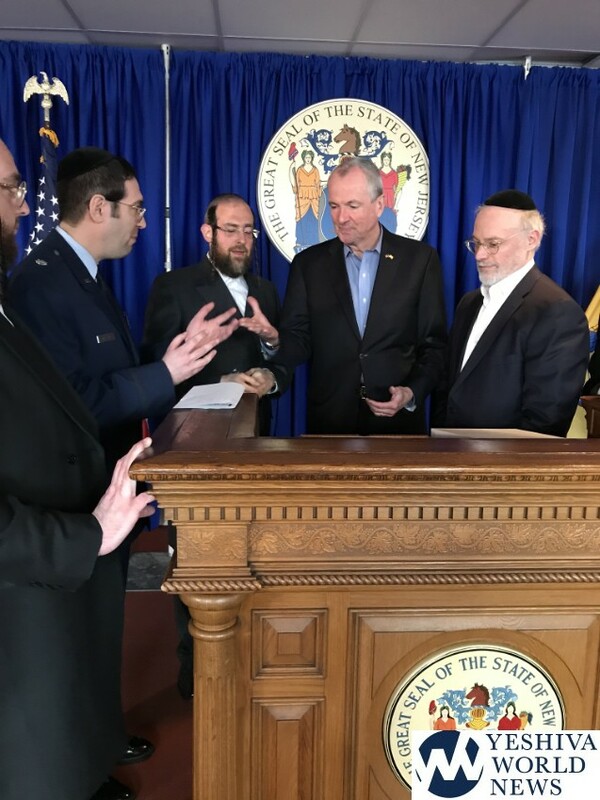 NJ Governor Phil Murphy welcomed Jewish community activists to Trenton on Tuesday, just days before Pesach. 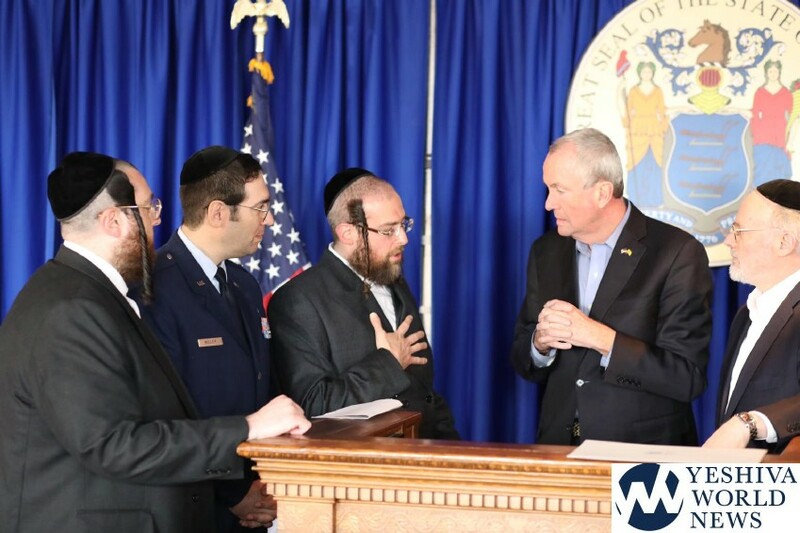 The group expressed their appreciation to the Governor for his unwavering support of Jewish communities statewide. 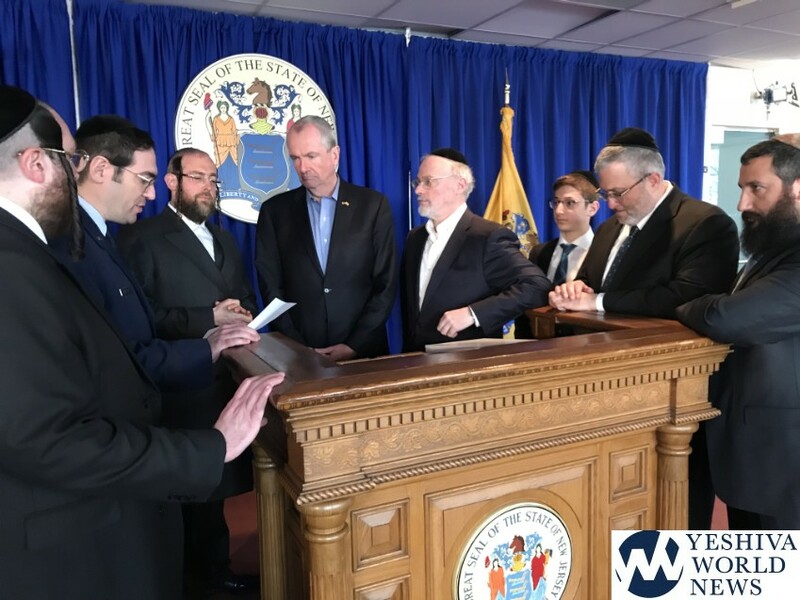 Among the delegation was NJ State Police Chaplain, Rabbi Abe Friedman, CEO of Lakewood’s BMG Rabbi Aaron Kotler, Lakewood Committeeman Menashe Miller, Lakewood Committeeman Meir Lichtenstein, Rabbi Avi Richler of Chabad of New Jersey, and Chaplain Yoel Friedman. 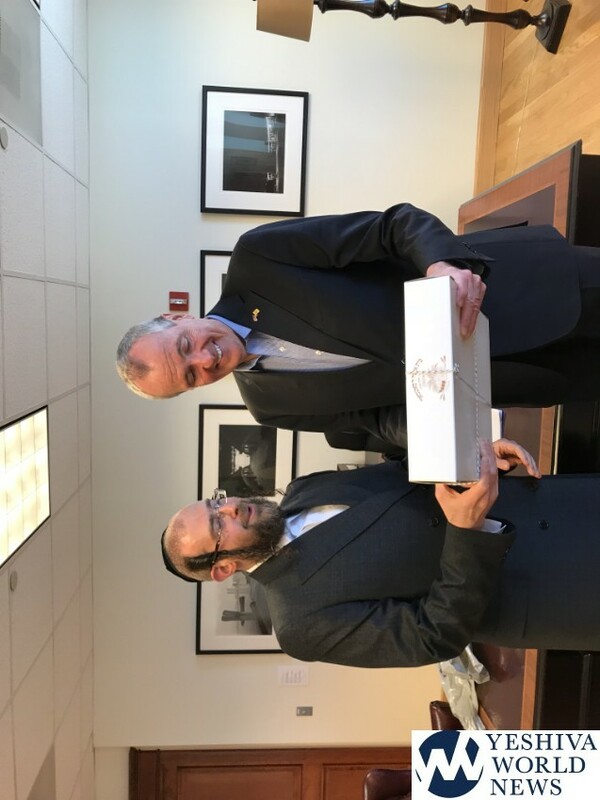 The Governor was given a box of hand matzos. 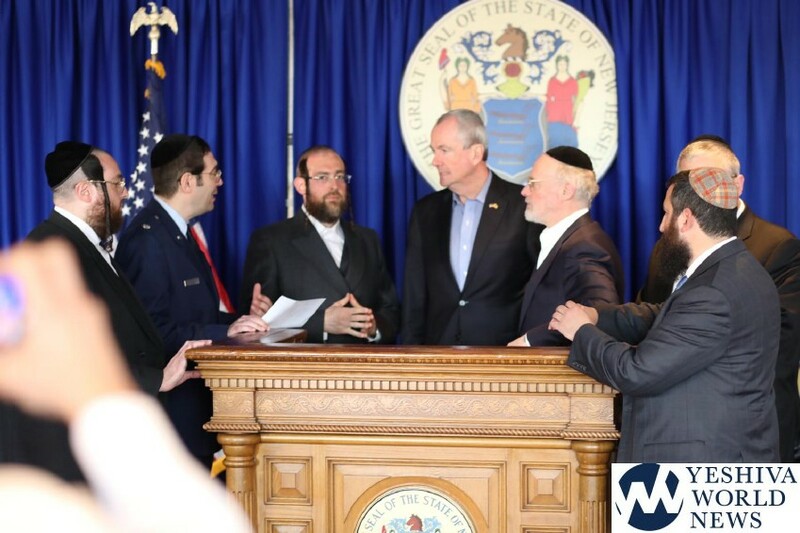 Previous articleJust one more meaningful Pesach preparation…. 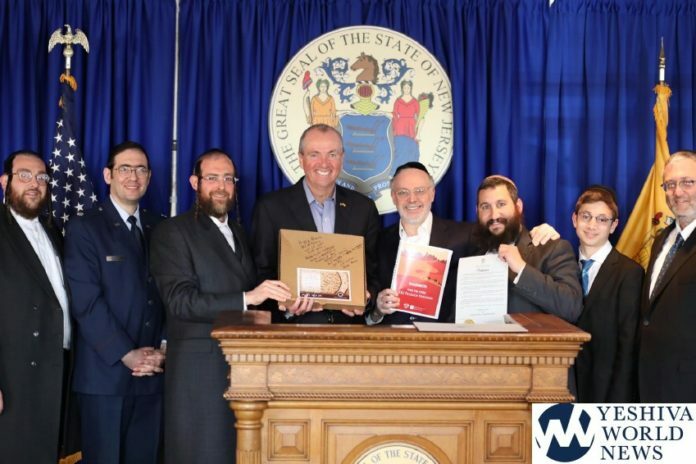 Sadly, Tammy Snyder Murphy (Governor’s wife) is Jewish. 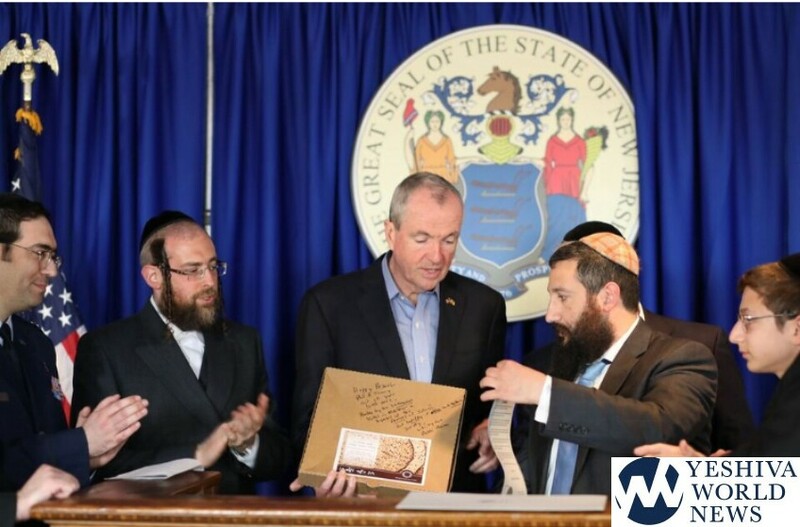 She can sell her Chometz to her husband (not Jewish).